I LOVED creating this card, and I tried to keep a vintage theme going with my card by using a lace doily accent, and the grid background. The red is MFT's Poppy ink and card stock and the Gingham background. I am SO happy you stopped by today and I hope you have a wonderful day! This is just so bright and eclectic! Super fun! Thank you Becca! I love all those colors together! LOVE!!! The doily under your beatifully stamped mug is genius! Just Lovely, I like the warm and cosy feeling of this cup-card! 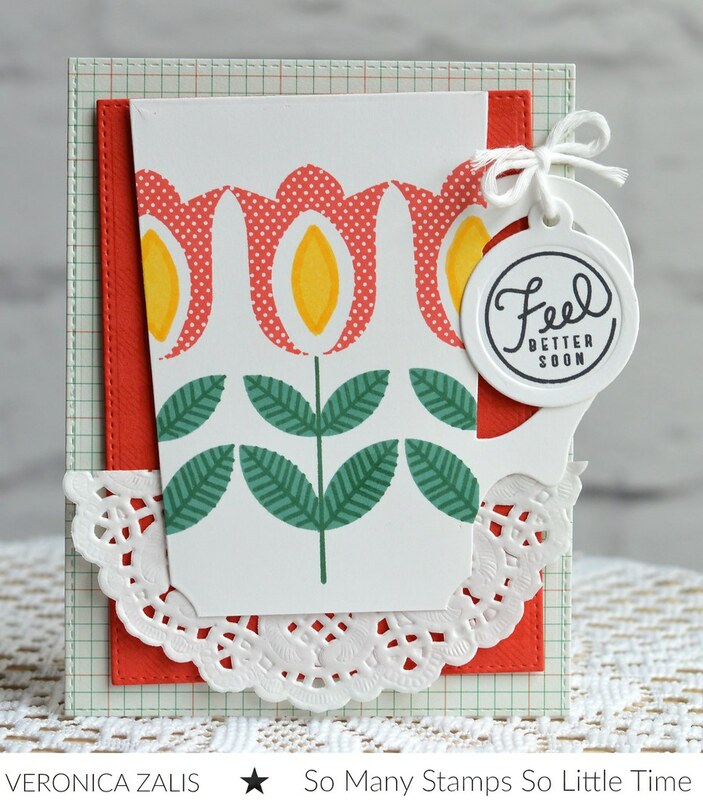 Love the vintage feel to your card, and the doily is perfect! Great colors too! Beautifully done, Veronica! Love your color accenting and detailing! I really love this card! So cheerful.